Budgeting is such an adulting term. Nothing can make you feel more like an adult when you need to budget your money, stop buying frivolous things and save for retirement. A budget just sounds like no fun. Is it possible to learn how to budget money and still enjoy life? However, the bright side to budgeting (and normally overlooked aspect) is by setting up a budget is you start to live within in your means and start your path to financial freedom. Here are all the advantages of budgeting. 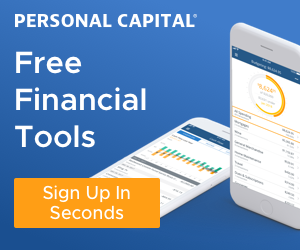 Personally, financial freedom is way more enticing! So, that means a budget is necessary. A budget is key. A budget will change your life forever. Just FYI…Here at Money Bliss, we like to call it a Cents Plan. Why? A budget sounds constricting. Take your money cents and put it with your head sense to make your Cents Plan. But the question remains how to budget money without pulling out your hair and still enjoy life. First, let’s answer this age-old debate. 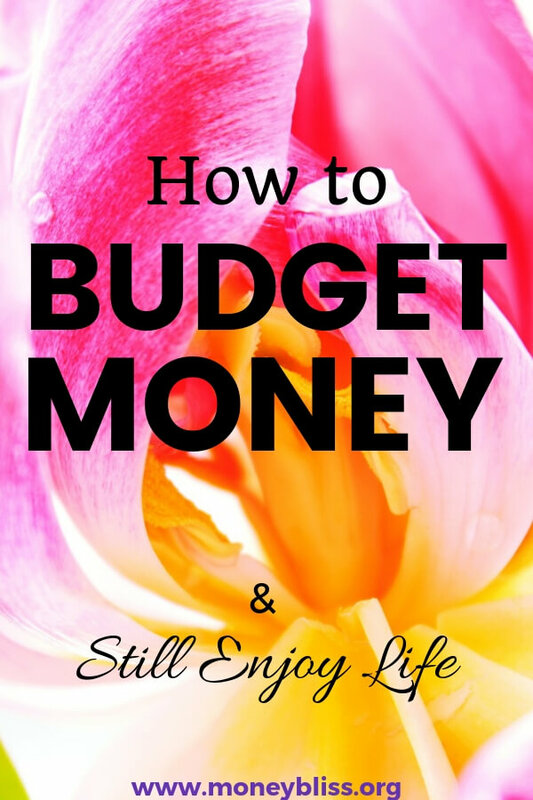 Do you really need a budget? The simple answer is it depends on what you want out of life. 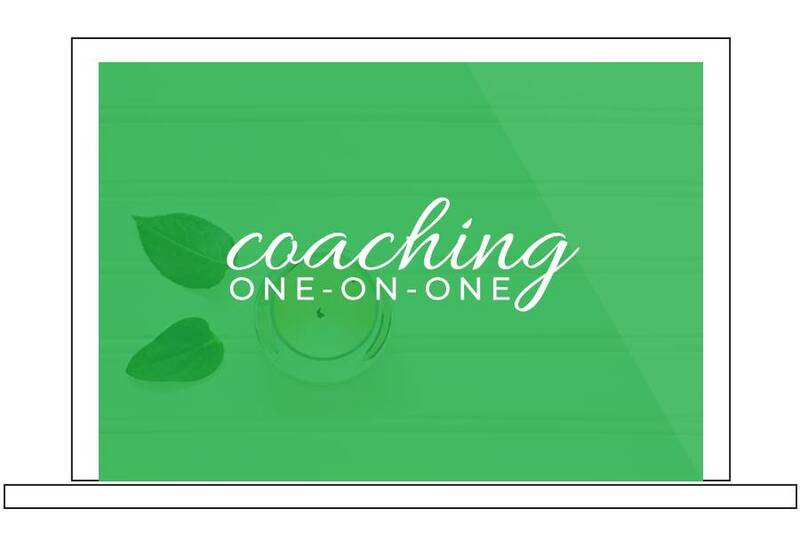 Do you want to live paycheck to paycheck, struggling with money, straddled with debt? Or with financial independence where you control your destiny? Stress vs. joy. The choice is yours. With human nature, our tendency is to spend money. While there are some savers in the room, it is typically a learned trait. Society wants quick results and with material items so cheap, it is easy to go overbudget. 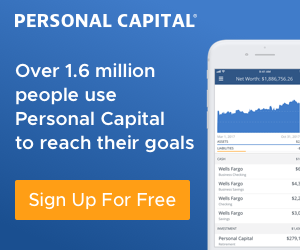 Does extra income really solve someone’s money problems? Last I checked, there are plenty of people who made millions are in bankruptcy because of overspending, not living within their means, and a budget wasn’t a term they used. If you have read this far into the post, then you need a budget. Keep reading. We have plenty of information to help you succeed. Okay, so we figured out that you need a budget. But, you aren’t truly convinced on the why you need a budget. What is the reason or purpose of a budget? The purpose of a budget is to first decide where you plan to spend/save money and then, see if you followed through on your plan. Are you underbudget? Are you overbudget? Specifically, are you making progress to your life’s vision? That is the purpose of a budget. It is a guide for your money. Like we have said many times before you can manage your money or have your money manage you. For us, the purpose of a budget helps us to travel each year plus work our way towards financial freedom. For you, what is the purpose of a budget? What do you want out of life? Use on of these methods of budgeting as a guide to develop your budget. There are many benefits of budgeting. However, most people struggle with a budget because saying no to yourself can be hard. Do you want to manage your money? Or have your money manage you? A budget is just a spending plan. 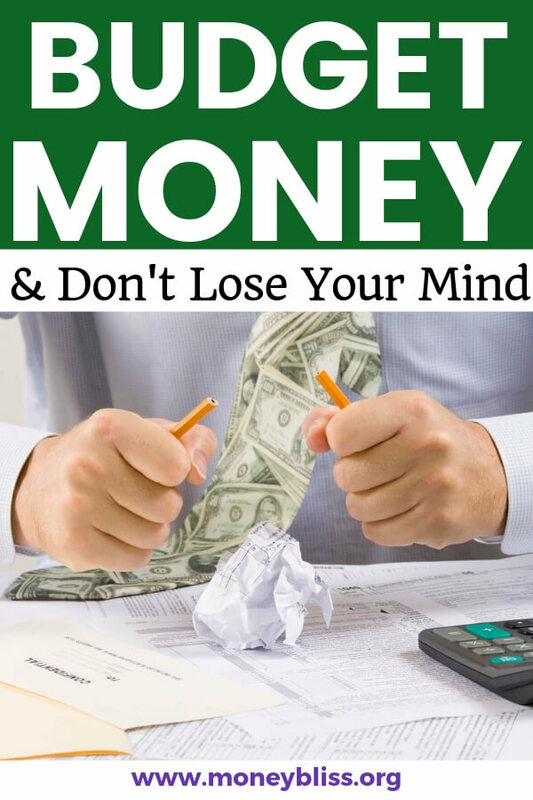 You manage money your way! That is a huge importance of budgeting. Personally, I would much rather decide how I want to spend my money. That is one of the biggest reasons we decided to pay off our debt in one year. The importance of budgeting is to make sure you are living within your means and have the ability to pay for your expenses. If debt is a part of your life, then you are able to pay off debt faster. If you are debt-free, then you can continue paying in cash rather than racking up debt. By moving towards a budget, then the foundation is laid to build a solid money journey. You know where and how your money is spent. Then, you’re not left at the end of the month wondering if and when you will run out of money. Another key importance of budgeting is it forces you to be organized with your finances. Then, you know where your money is going. Creating a budget shouldn’t be overcomplicated or hard. Too many times people have good intentions of creating a budget and give up too quickly, then they never finally understand the benefits of budgeting. It will take a few months or paycheck cycles to truly notice the benefits of budgeting. No matter what we do…we can’t change how fast the days move. This is hard when you are working hard on your budget for the first time and want to see progress faster. Consistency makes budgeting actually work. Did you realize we only listed a few of the benefits of budgeting? Learn all the Surprising Advantages of Budgeting your Money. As paychecks roll in and the months go by, you start seeing the bigger and bigger picture on the benefits of budgeting. 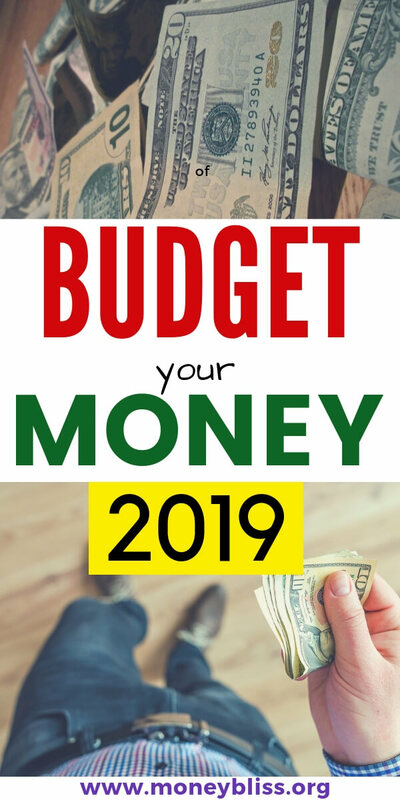 Now, that you read you need a budget, the purpose of a budget, the importance of budgeting plus the true benefits of budgeting, let’s discuss how to manage money. Specifically, how to manage your money. Remember you have the choice to manage your money or have your money manage you. The choice is yours. So, how can you manage your money? One place to start is look at what others are doing. What makes them successful or not successful. You can manage your money based off percentages like the Cents Plan Formula. You can look at the household budget percentages to see how people spend money according to the statistics. Just remember, in the end, you want to manage money your way. Managing money is more than just a budget. It is about giving you choices in life. Before we starting truly budgeting, we just tracked our spending. Without fail each and every month, there wasn’t money leftover to do what we wanted in life. Things just didn’t seem fair. Then, I got this hair-brained idea to pay off all of our debt in 1 year. Let me tell you…it was the best decision we ever made. You can read about our journey to be debt free. By paying off our debt, we decided to put us first and what we wanted in life. Extra money was going towards all of debt each month. So, that meant everything else was hacked to make paying off debt possible. During that time, we truly understood what we wanted in life, what was important to us, and how we would get there. Sometimes when trying to manage money, you must uncover hidden obstacles that are holding you back on your money journey. These need to be addressed in order to move forward. What choices do you want to make with your life? 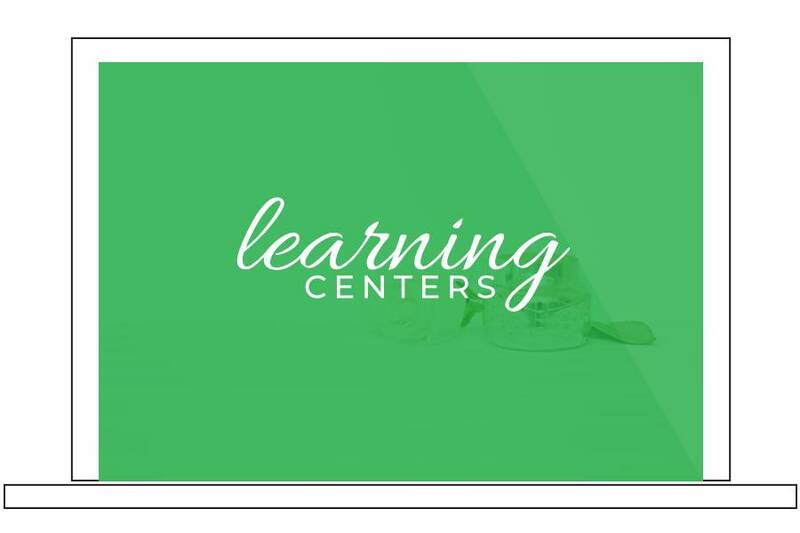 The Cents + Vision Planner has been developed to walk you through all of those questions. While this seems blatantly obvious, it is one of the hardest things for people to do. Your income is greater than your spending (and hopefully savings is included in that number too). One of the fastest ways to start living within your means is with a spending freeze. Plus it will help you uncover your life’s visions and what truly matters to you. If you have been spending more than you make, then you are letting money manage you. By living within your means, then you are managing your money your way. The comparison trap is real. With social media, it is hard to escape any type of comparison games. It used to be “Keep up with the Joneses’” and that just meant the neighbors and friends around you. The key to long term success on how to manage money is doing it your way, which means that your priorities will be different than everyone around you. And you have to be okay with being different. Need ideas to stay on budget? Find 33+ Things to Do on a No-Spend Weekend. The recommendation I always make when starting out with a budget is to use paper and pencil. Something tangible that you can touch and feel. Then, it becomes a constant reminder of your new ways of managing money. Over the long-term with budgeting, you must find a system to work for you. Maybe an app? Maybe a spreadsheet? Possibly a software? The key is finding a system that will work for you. And if you combine finances, it has to work for both of you. There are so many options for free and paid budgeting apps today. It may seem overwhelming. But, you can’t go back to other habits. Setting up a budget shouldn’t be hard or complicated. Don’t overanalyze. Don’t give up. Most people have to work on setting a budget that works for them over a couple of months. Each month making small refinements. The end goal is to set a budget that works for you. Yes, this is a very high-level view of setting up a budget. There are plenty of resources on our site to help you finalize a budget that works for you. Find detailed resources on how to make a budget. The key to setting up a budget is be realistic. You want to set yourself up for success – not instant failure. One of the key ingredients to make a better successful is pocket money. Personally, I believe this one category can make or break your budget. Understand how pocket money (AKA slush money) works. When setting up a budget for the first time, set aside time to work through the budgeting process. A solid budget that will work (remember that is a key ingredient for success) needs to be based off your life’s visions. Not just slapped together in 5 minutes. Learning how to budget money is completely doable. Budgeting shouldn’t be cumbersome or overwhelming. In the long run, the benefits of budgeting outweigh living paycheck to paycheck or stressed about money. The purpose of a budget is to help you successfully reach your life’s visions. The point where you start managing your money and not being managed by your money. Further resources on how to set up a budget. 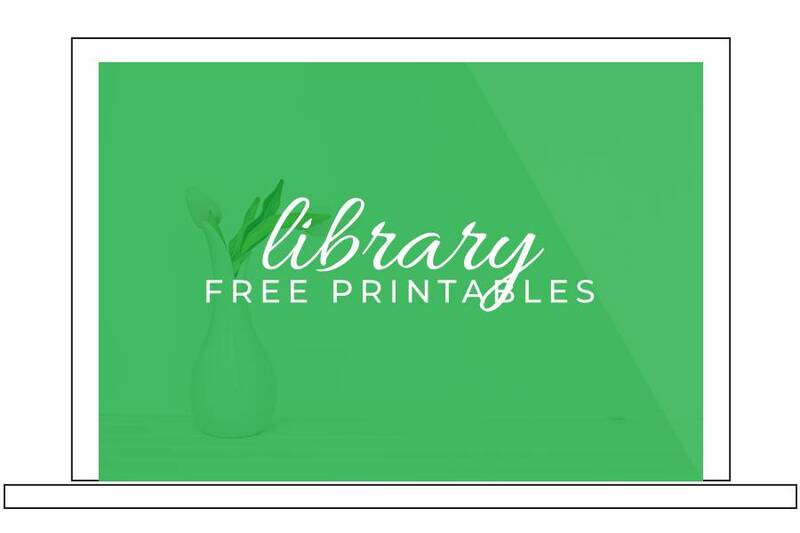 Make sure to download our free budget printables!